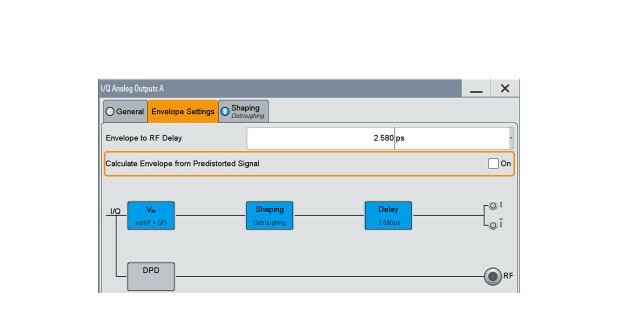 The R&S®SMW-K540 envelope tracking option is a powerful and versatile solution to characterize DC modulator chipsets together with envelope tracking power amplifiers (ETPA). Envelope tracking is a technique to increase power amplifier (PA) efficiency by modulating the DC supply voltage with the envelope of the I/Q signal. 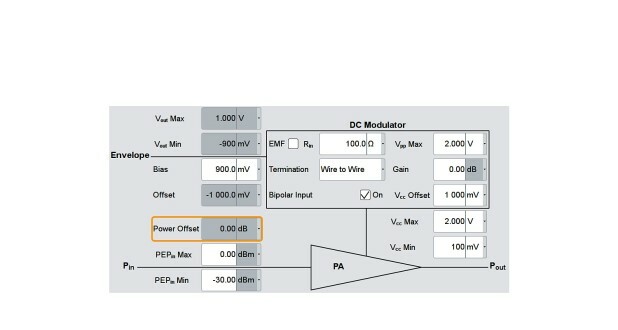 Testing and verifying the performance of DC modulators and envelope tracking power amplifiers (ETPA) poses a number of challenges for T&M equipment. The envelope and the RF waveform applied to the PA must be perfectly synchronized. 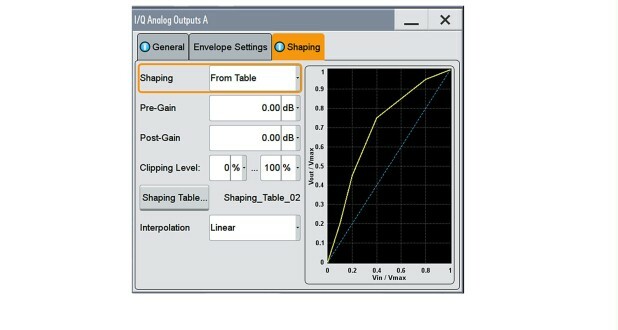 Envelope shaping is applied to tune the PA for best efficiency or linearity. For power sweeps and PA dynamic range tests, automatic recalculation of the envelope waveform is required. The R&S®SMW-K540 envelope tracking option meets all of these challenges. It generates the envelope of any I/Q data in realtime and outputs it via the generator's analog interfaces with best spectral purity. 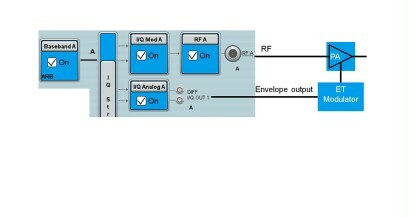 Since the RF and baseband envelope waveforms are generated within the same instrument, no extra cabling is needed to synchronize the two waveforms and no added jitter occurs, yielding 100 % repeatability. The RF to envelope waveform delay can be adjusted in realtime with picosecond resolution. 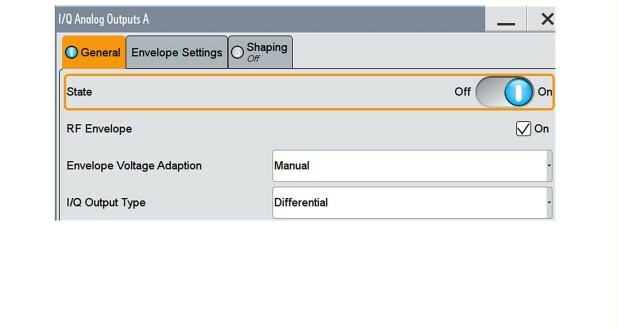 The R&S®SMW-K540 option also provides several envelope shaping functions (i.e. table, polynomial, detroughing). 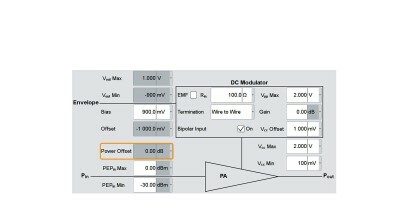 A unique feature of R&S®SMW-K540 is automatic envelope voltage adaptation. This simplifies the test setup and saves designers time-consuming manual adjustments for different power levels.